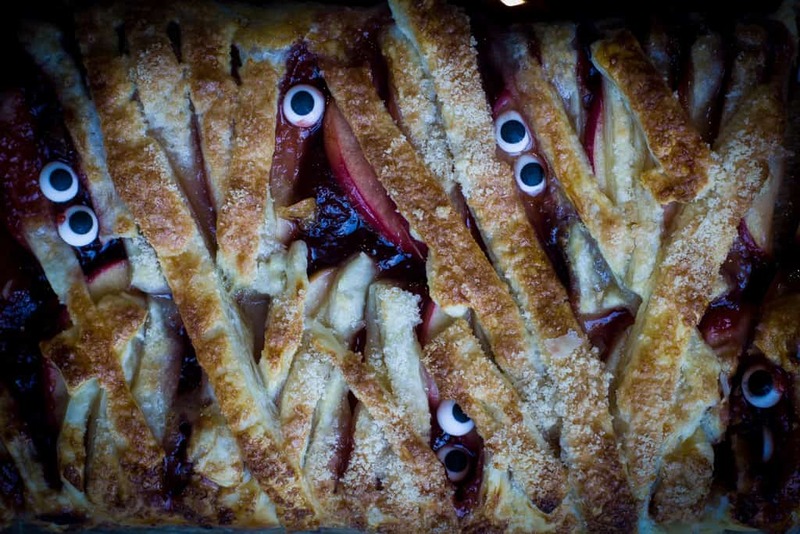 This Mummy Apple Pie is the perfect centrepiece for your Halloween party. 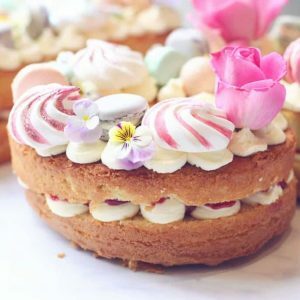 It’s quick and easy to make and can be enjoyed fresh from the oven served with custard or sliced and eaten cold as a sweet treat. I absolutely love this time of year, for me, Halloween is when the countdown to Christmas really begins. The nights get darker, there’s a crispness in the air. 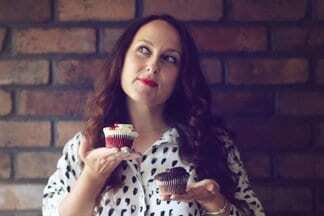 My winter boots, scarves and cosy cardigans make an appearance and I get to be in my element in the kitchen, creating fun food for kids and adults and celebrating all the festivities. Nothing says home like the smell of apple pie and as apples are in season right now I try and incorporate them into my autumn baking as much as possible. 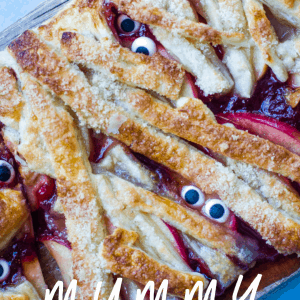 I made a quick video tutorial so you can see step by step instructions on how to make this Mummy apple pie. 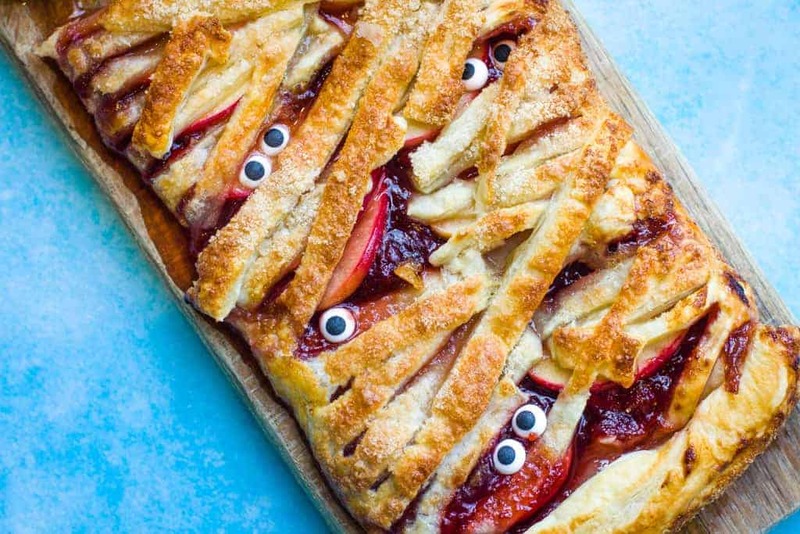 This Mummy apple pie is a twist on a very simple apple puff pastry pie. I make things easy for myself wherever I can by buying shop bought puff and spreading jam from a jar. 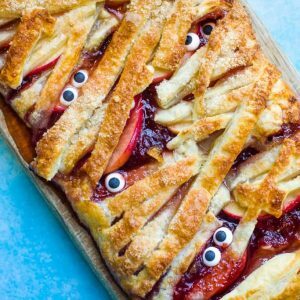 You could make your own pastry and jam if you’re so inclined but if you’re preparing a number of dishes for a kid’s Halloween party then this quick version will take you around 5 minutes to put together and your guests will be impressed by the ‘mummified’ pie with little googly eyes poking out. It’s suitably spooky for a Halloween get together and little guests especially seem to enjoy this one. 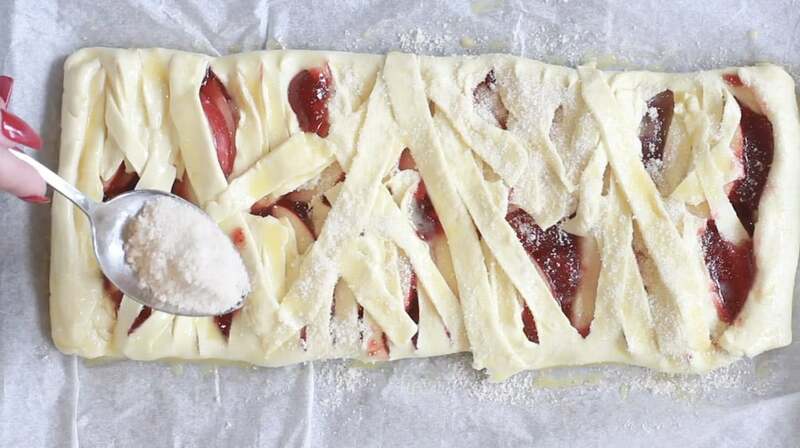 Unroll pastry and place on a baking tray. Spread strawberry jam down the centre of the pastry leaving about a 6cm gap each side and 2cm at the top and bottom. 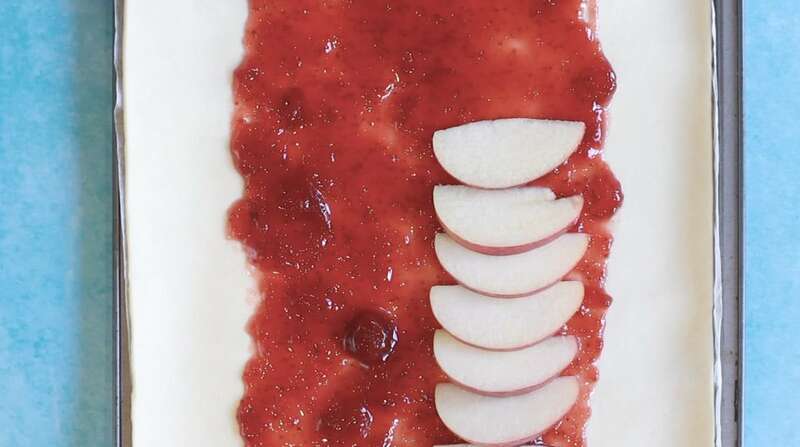 Arrange the sliced apple in two rows on top of the strawberry jam. Mark a 1cm border around the edges of the pastry. 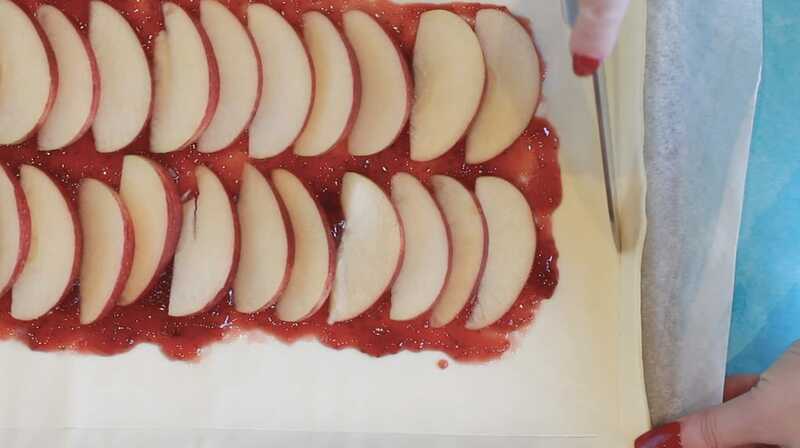 To make the bandage pattern, cut the pastry down the sides into strips about 1cm apart. Fold the pastry strips into the centre, occasionally overlapping the strips. 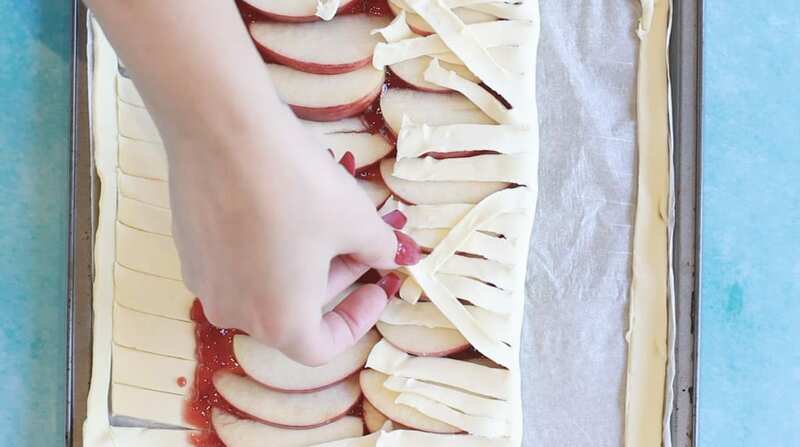 Use your fingers to pull apart the pastry strips to make a few gaps so that you can see the jam and apple filling peeping through. 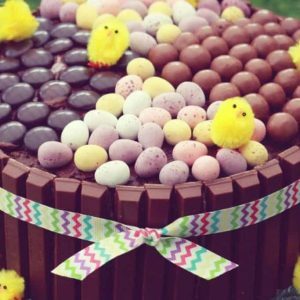 Brush the top of the pastry with the beaten egg and sprinkle with golden caster sugar. Bake in the oven for 20-25 minutes. Once baked, leave it to cool for a couple of minutes then poke edible candy eyeballs into the gaps. 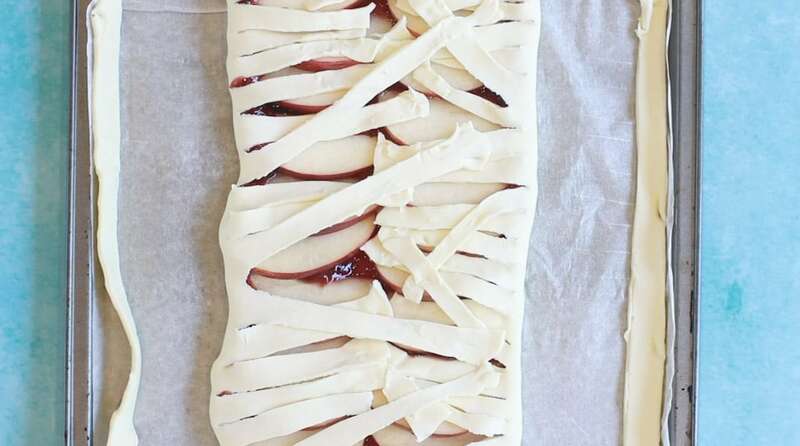 This Mummy apple pie is a twist on a very simple apple puff pastry pie. 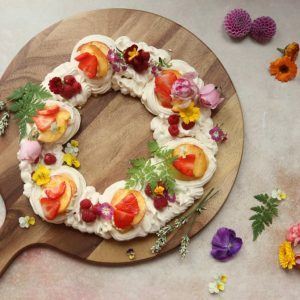 This quick version will take you around 5 minutes to put together and your guests will be impressed by the 'mummified' pie with little googly eyes poking out. 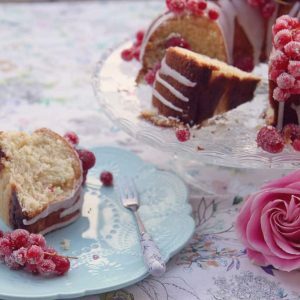 Looking for more recipes using apples? I think you’ll love this Toffee Apple Bread Pudding – perfect for Bonfire night! 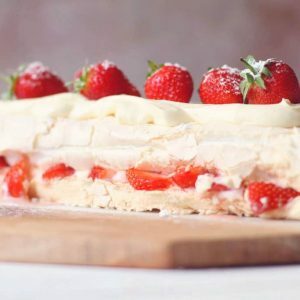 Previous Post: « A Summer BBQ Without The Stress Of Mess!